The Top Chef star found inspiration in the Moroccan port city. In the restaurant world, "R&D" is actually code for stuffing yourself silly. And that’s essentially what Top Chef alum Mike Isabella and his team did when they visited Morocco earlier this summer to prepare their palates for the opening of their next restaurant, Arroz in Washington, D.C.
“It’s a Spanish restaurant, but there’s a lot of influence from northern Morocco in southern Spain,” Isabella says. 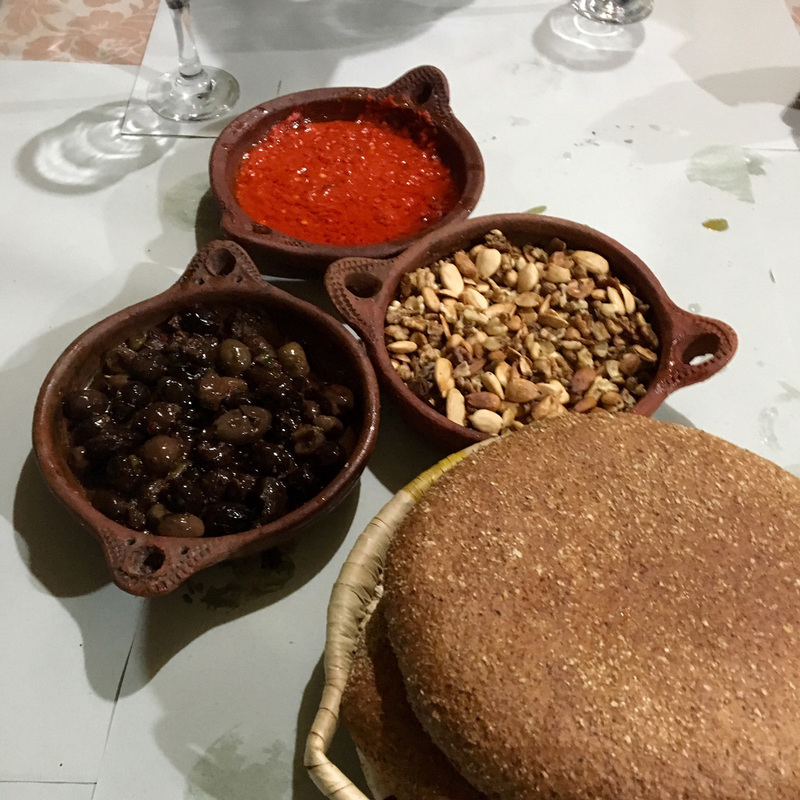 Isabella investigated those cuisines for five days in Tangier, just a few hours north of his beverage director Taha Ismail's home city, Casablanca. Ismail’s father played tour guide, but Isabella and his team didn’t arrive without an agenda. “We got all our recommendations from Andrew Zimmern and Anthony Bourdain,” he says. 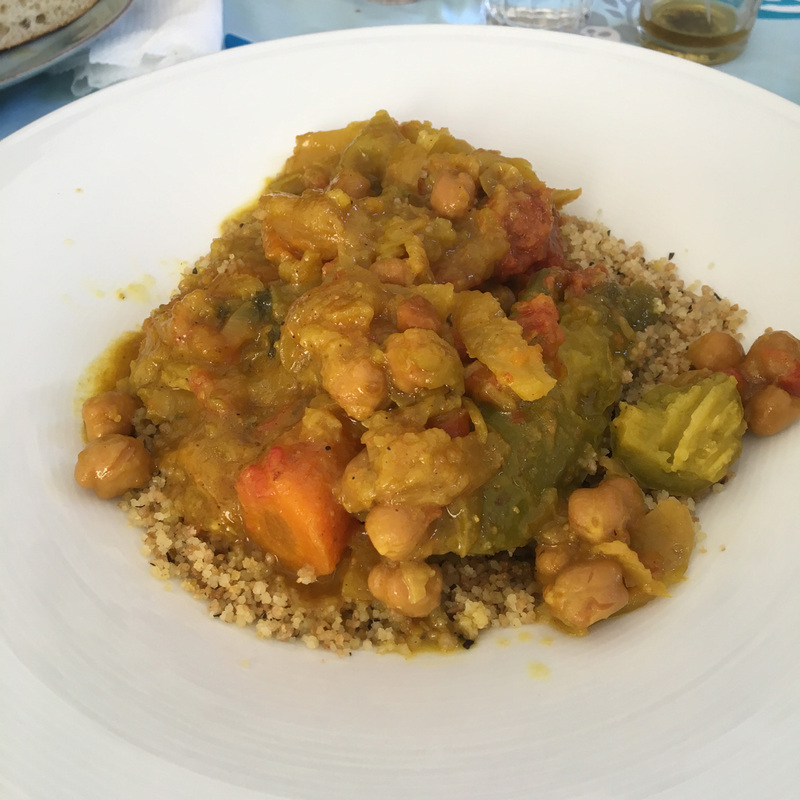 Vegetable Tagine at Café À L’Anglaise: “For one of our first meals in Morocco, we got a couscous tagine with potatoes and carrots, a very classic tagine,” says Isabella. This plush, homey restaurant, run by a mother and her two daughters, is a bit tricky to find. If your cab driver can't locate the address, do what Isabella did: ask some locals. Tasting Menu at Le Saveur du Poisson: “This is a tiny place with an open kitchen and no menu,” Isabella says. “You start off with some fish soup, olives, harissa and bread and then it goes into a seafood tagine and a whole fish.” He loved the freshness of the fish (“Straight from the water!”) and the fine-tuned cooking. Lamb Tagine at El Morocco Club: This hip restaurant features DJs spinning tunes, smoke in the air (perfectly legal in Morocco) and zebra-print pillows everywhere. 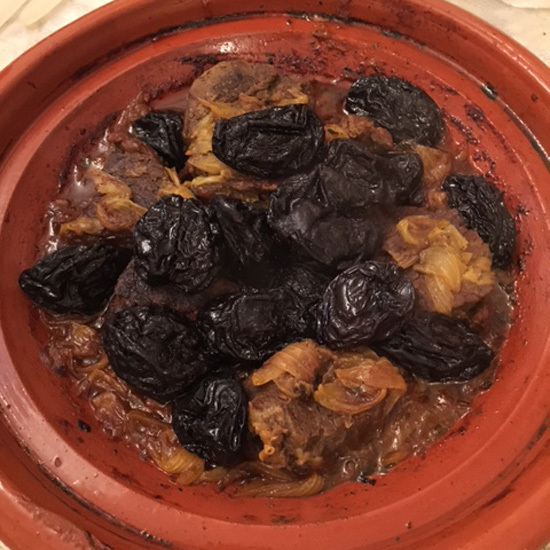 Prunes sweeten and add depth to the lamb tagine, but the design and vibe blew Isabella away. 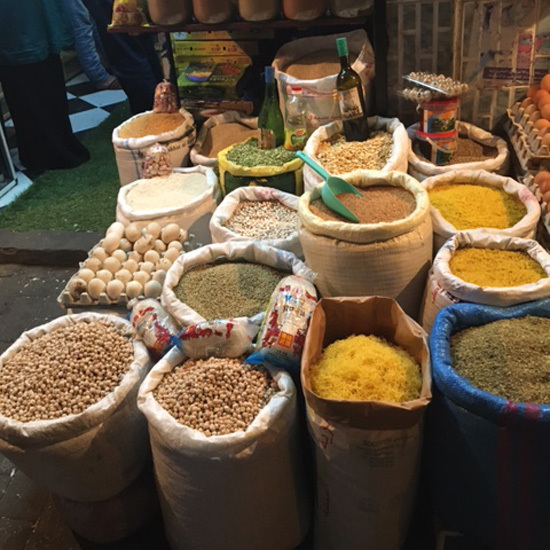 Tangier Spice Market: “We made our our own ras el hanout with 50 spices, herbs and flowers,” says Isabella. He also captured street vendors making flaky phyllo dough in a mesmerizing Instagram video. The team scored what Isabella describes as "twelve pounds of spices" including harissa and berbere, plus amlou, a condiment made of argan oil and pureed walnuts. Tea at Café Hafa: “Here you just hang out, drink tea and smoke,” Isabella says. 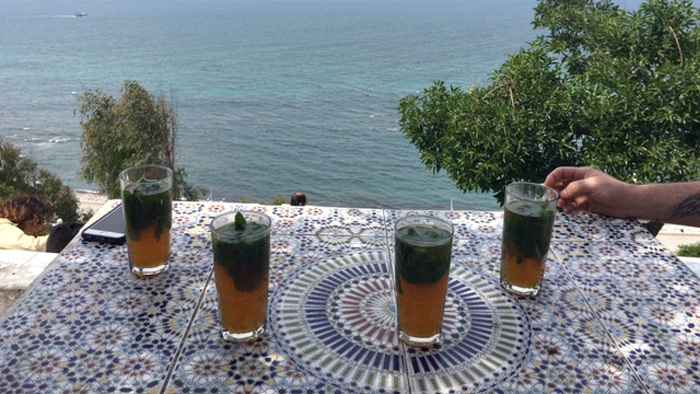 The tea at this breezy cliffside spot is gunpowder green, sweetened with sugar and lots of fresh mint.